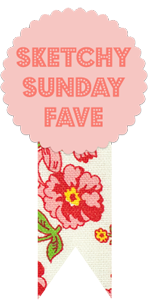 Little Bay Stampin': Start-to-Finish Sunday #34 - Convention Swap! So, this card is pretty simple. I used the Cycle Celebration stamp set and I Am Me designer paper - they're such a great combination! Also, the amazing and super unique tag die is from the Chalk Talk Framelits - LOVE it! :) You can check out the video below, or over on my YouTube channel. Hope you enjoy!